Ian Macpherson is one of the upcoming great lifters in the USAPL. 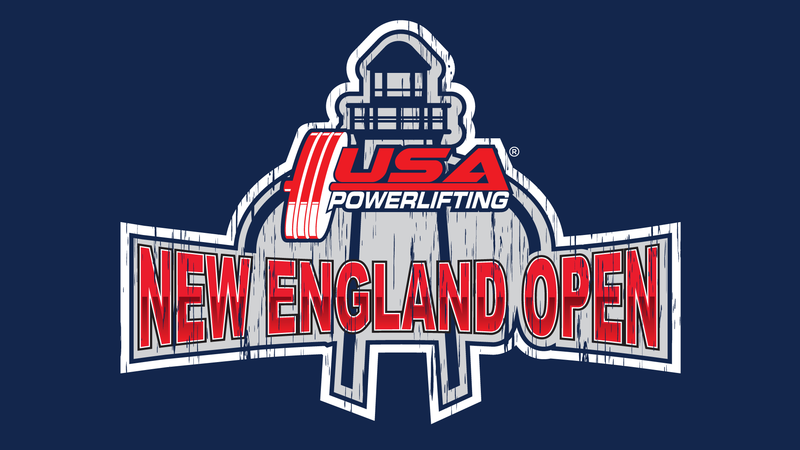 He began competing three years ago as a sophomore in high school and just won the Ryan Moore Best Lifter award at the second Annul New England Open High School Powerlifting Championships. This was even more significant because this award was in honor of his teammate who passed away two years prior. I am 18 years old, and I live in Westwood, MA. I just recently graduated from Xaverian Brothers High School, and I will be studying business at Boston College in the fall. 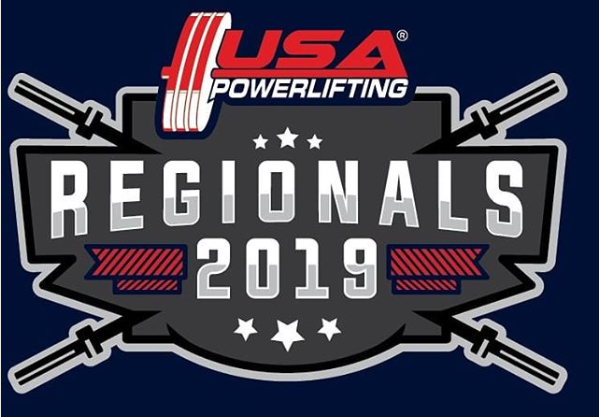 During my sophomore year in high school Coach Al Fornaro, the strength and conditioning coach at Xaverian, asked me if I wanted to compete in the state high school powerlifting meet. Although I was reluctant at first, I joined Xaverian’s powerlifting team and I have been lifting ever since. At that meet I totaled a humble 479.5 lbs, squatting 148.8, benching 104.7, and deadlifting 226 in the 114 lb weight class. What weight class or weight classes do you compete in? I began lifting in the 114 lb weight-class, with an actual bodyweight of 105 lbs. However, I have competed in the 123’s, 132’s and 148’s, which is what I compete in today. 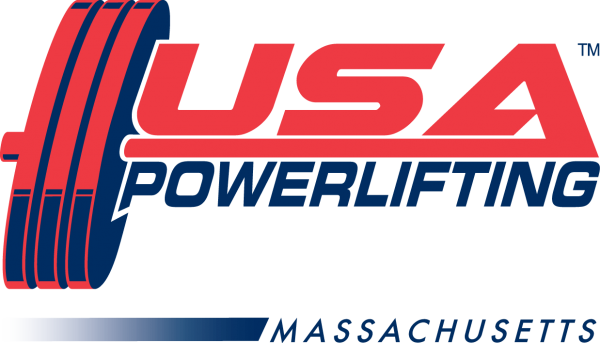 These lifts were all done at the 2012 USAPL New England Open Powerlifting Championships, held at Xaverian Brothers High School last May. I train at Xaverian in Westwood, MA. I will be lifting at BC next year, where I plan to start a powerlifting team. 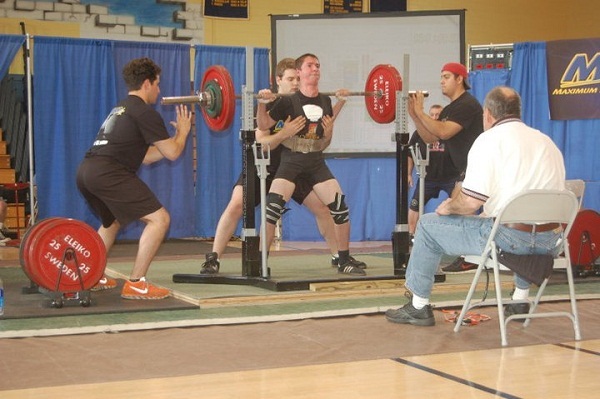 During the school year I lifted with the powerlifting team at Xaverian. 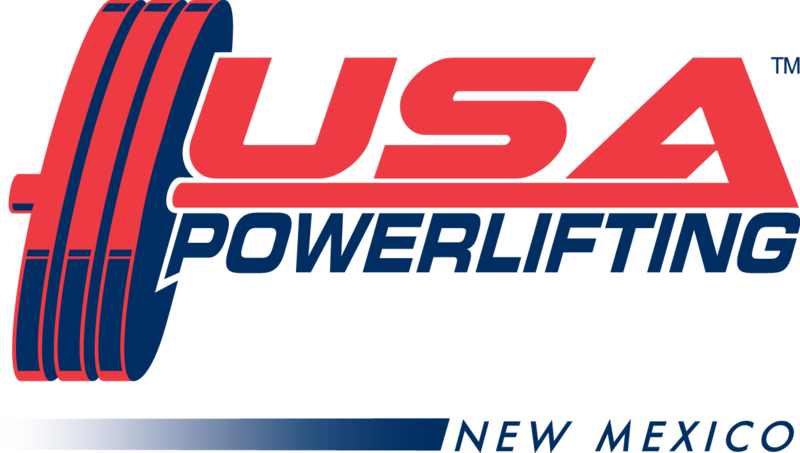 We competed at two local meets this year, winning the Second Annual Ryan Moore High School Powerlifting Championships as a team. I also lift with a bunch of graduates of Xaverian Brothers High School who are all very successful in the sport. All of these guys are extremely helpful to me, and have been a major part of my success in powerlifting. 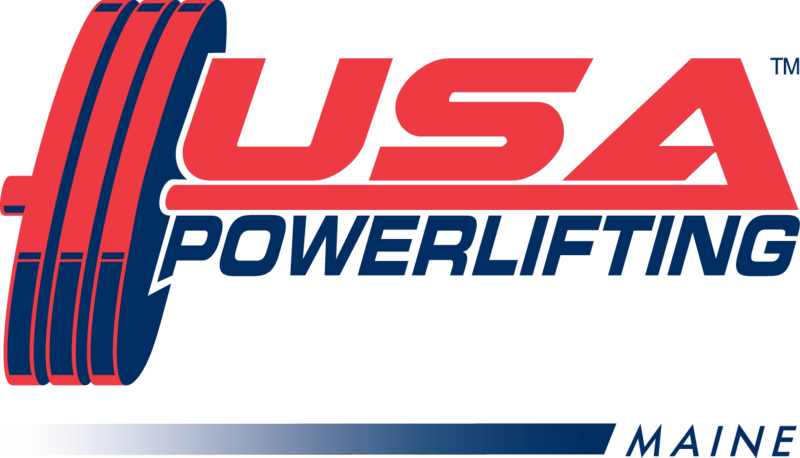 I have just recently accomplished my current goals including: squatting and deadlifting over 400 lbs, totaling over 1100 lbs, and qualifying for Collegiate Nationals, which will be held next April. My new goals include getting a Wilks score above 400 and benching 300 lbs. Also, I hope to be competitive in the 148 lb weight-class at Collegiate Nationals. 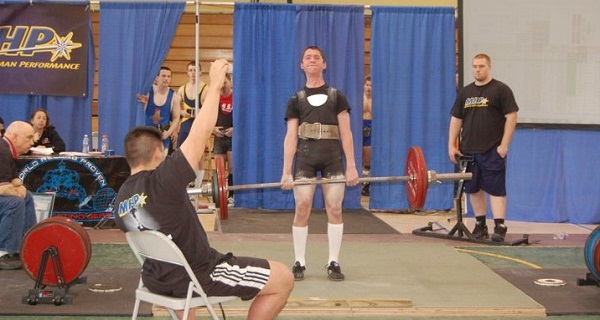 My greatest moment in powerlifting came last March at the Massachusetts high school meet. At this meet I broke a state bench record, benching 264 lbs. Also, I won my weight class, and went home with the best lifter award. I train four days a week. On Sunday I do dynamic effort bench and heavy board work. Monday is a max effort squat day, Wednesday is a max effort bench day, and Thursday is a dynamic effort squat day, in which I also do rack pulls and max effort deadlifts. Coach Fornaro forms this training routine, and works very hard to create a program to make me as strong of a lifter as possible. 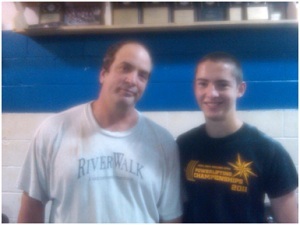 Coach Fornaro has been my greatest mentor in the sport. He is the person that originally got me into powerlifting, and has given me great advice and support over the past three years. Current BC Powerlifting star and Xaverian graduate Joe Cassaro has been a large part of my success, providing me with consistent competition and support. Luis Jaimes has also been a great mentor, particularly regarding the use of gear. Ed Minelli has been a great mentor, especially regarding proper form and the skill of board holding. 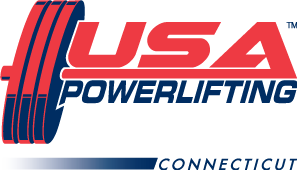 Other mentors have been Jack Dustin, Lee Keaffer, Kevin Ihlefeld, Ryan Gillan, Zach Abrams, Charlie Cocci, and the lifting legend Ryan Moore. My inspiration comes from my love for powerlifting. I enjoy lifting and everything that it has to offer, so that is all the inspiration that I need. What is your favorite music to listen to when you’re training? I will listen to anything, but my favorite is Metallica. I just want everyone to know that Charlie shaved his mustache.